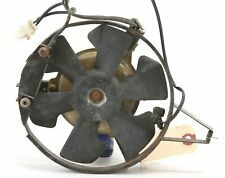 91 - 02 Honda ST1100 Working Tilt Sensor off 1991 ST 1100. Guaranteed. 78 Honda CX500 tail / brake light rear fender assembly off 1978 CX500A. 79 Kawasaki KZ400 LTD Seat in Nice Condition: No rips or tears. 82 - 83 Suzuki GS750T GS1100E ES S Rocker Cover Chrome Endcaps - Pair (2). Nice! 79 - 82 Honda CB400T OEM Starter Motor - GUARANTEED Working!